Why do some people succeed at levels beyond their imagination, while others struggle? It comes down to how they manage their psychology, physiology, productivity and persuasion. Think about it. If you can’t master your mind, your body, your ability to get things done, and your ability to influence others to help you on your journey, then you’re stuck forever in mediocrity. But master them and you own the world. 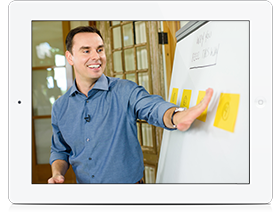 This is the ultimate Brendon Burchard event. Build an influencer empire and career by monetizing what you know. Join Brendon Burchard and the world’s most experienced influencers as they share their business models, audience growth strategies, social media campaigns, and modern monetization strategies for book deals, online sales, sponsorships, brand deals, documentaries, appearances, and partnerships.